Fame and success can often change a man, but don’t be deceived by Formula One champ Lewis Hamilton’s bling and bravado, for he’s readily happy to admit his success is thanks, for the most part, to the work of a higher power! Formula One is the most peculiar of all the sports. The requirement is for huge sums of money, access to intricate and advanced technology, and an enormous team of engineers, designers and directors… and that’s just to get four wheels on the starting grid. And yet, to the spectator, it all seems to come down to the wit, wherewithal and luck of one man – he who is sat in the driving seat. The sport is also, of course, unfathomably glamorous. F1 evokes images of Monaco, of princes, of beautiful women and an endless stream of champagne, while the blood, sweat and tears of its architects remain hidden behind a gauzy veil of wealth. Strange then, that arguably the greatest F1 driver of our time should hail from the humblest of backgrounds. Born to a white mother and black father – who split when he was two – in Stevenage, an unassuming new town north of London, Lewis Hamilton’s childhood was miles away from the moneyed world he now inhabits, a concept which is not lost on the 33-year-old Mercedes star. “I feel very blessed in my life,” he begins. “I have an incredible family who I can support and who support me; I get to race the coolest cars in the world, and I’m in a position where I can do positive things with my life, like go to the Philippines [with children’s charity UNICEF] to meet street kids, for example..
Now steering, he hopes, towards his fifth world title, it does seem as though Hamilton has some kind of higher power on his side. However, professing one’s faith in an arena such as Formula One can be tricky, as you might argue that very little is left to fate when a sport relies so heavily on science and engineering. You could even say it is disingenuous to claim your success is thanks to Him when so much is done behind the scenes to ensure your safe and swift delivery around the track. 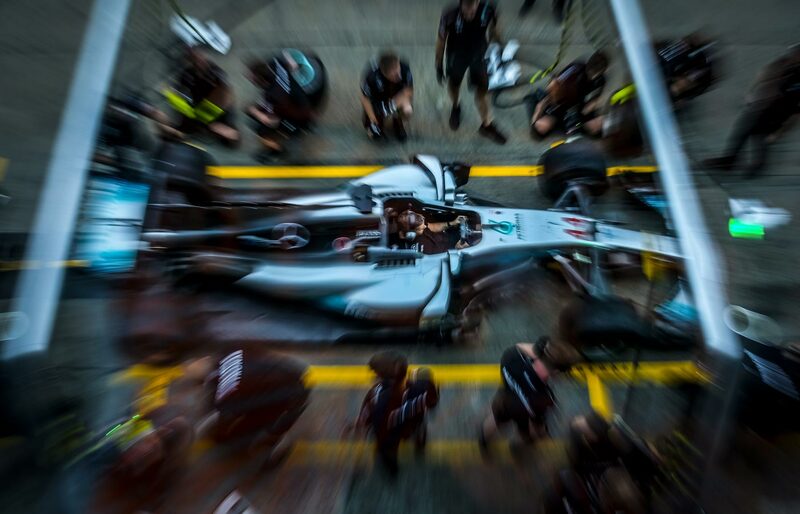 But for Hamilton, his faith is as instinctive and ingrained as his ability to drive. “I don’t like to discuss it too much because people can take words out of context or make a big deal out of following God,” he says, “but he’s always there with me. Indeed, thanks to his impressive array of body art, Hamilton needs to verbalise very little, for his devotion is literally inked all over his athletic body. “I love my ink,” he says. “Each tattoo has a meaning. I’m very strong in my faith, so I wanted to have some religious images.” Ranging in size and intricacy, there are straightforward designs which read ‘faith’ and ‘family’, a sacred heart, and artistic interpretations of iconic religious moments like the Pietà, a Michelangelo sculpture of Mary holding Jesus after he came off the cross, with a symbolic cross and angel wings on his back. “The angel wings mean to rise above it, no matter what life throws at you. And also, you know, Jesus rose from the grave,” he explains. As is often the case, huge accomplishment often beckons consternation, and Hamilton has not been immune to fierce criticism. For while he might not live his life with the kind of reckless abandon and decadent swagger of previous F1 champ James Hunt, for instance, he is definitely considered to be the rockstar amongst the current crop of drivers, thanks to his flamboyant fashion sense and extravagant lifestyle. Such exuberance naturally makes him worthy tabloid fodder, but the defiant driver stands firmly by his choices. 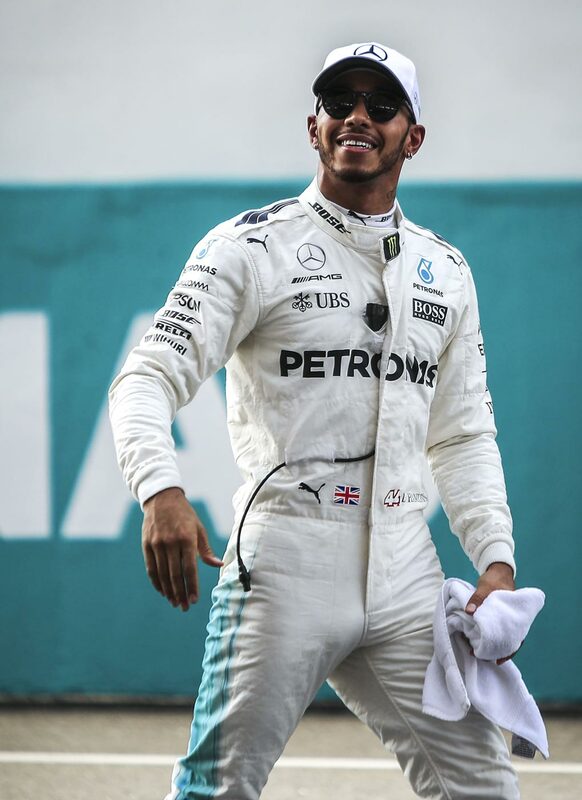 With his status as a driving legend cemented, Hamilton continues on his journey safe in the knowledge that he has nothing to prove, sitting ahead of both Michael Schumacher and Ayrton Senna in the all-time drivers‘ list with 75 pole positions to his name. But the ambitious Brit isn’t ready to take his hand off the gear stick just yet, flying ahead of his rivals this season despite a rocky start. – Legendary boxer MUHAMMAD ALI (formerly Cassius Clay) converted to Islam in 1964 under the guidance of Malcolm X. – Tennis superstars SERENA and VENUS WILLIAMS were raised as Jehovah’s Witnesses. – Australian rugby player WILL HOPOATE temporarily gave up his career to become a Mormon missionary. – 100m world record holder USAIN BOLT often quotes the Bible and thanks God for his sporting successes. – Manchester City star RAHEEM STIRLING regularly mentions his Christian faith in his social media posts.